8-2-Eat is my food-focused list series. A perfect Friday distraction. Today, I feature 8 dishes you can make without turning on the oven or stove--perfect for those really hot summer days. 1. Chickpea "Potato" Salad. I recently featured a roasted version of this, but the tasty original requires no heat to transform simple ingredients into an updated version of the picnic classic. 2. Smoky Smooth Hummus. Garlicky chickpea-and-tahini laden hummus is perfect for dipping pitas and cut vegetables into and it requires no heat for either the dip or its dippers. 3. 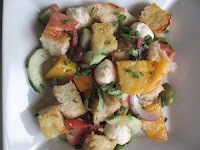 Heirloom Tomato Panzanella. An Italian salad of bread cubes (toasted generally, but if you want to absolutely use no heat you can just cut them up), tomatoes, mozzarella and basil. 4. Creamy Andalusian Gazpacho. Yes, it's a soup, but it's a raw summery one requiring no cooking that celebrates all things great about tomatoes. 5. 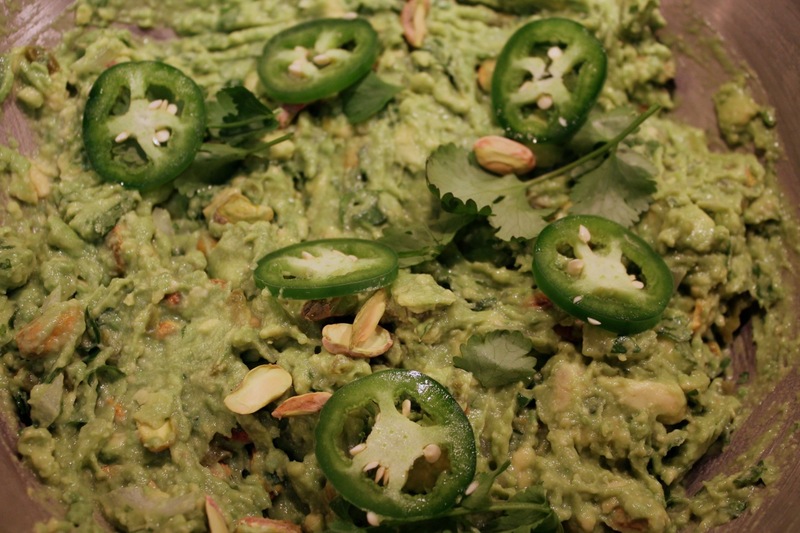 Spicy Pistachio Guacamole. I suppose it's hard to call this "no heat" with those slices of jalapeño, but it will still keep your kitchen cool (and taste delicious). 6. Classic Tuna Salad Sandwich. The tangy crunch of this sandwich classic is perfect on a hot summer day. 7. Cold Chickpea-Tahini Soup. This is pretty much all the ingredients of hummus yet put together as a soup. 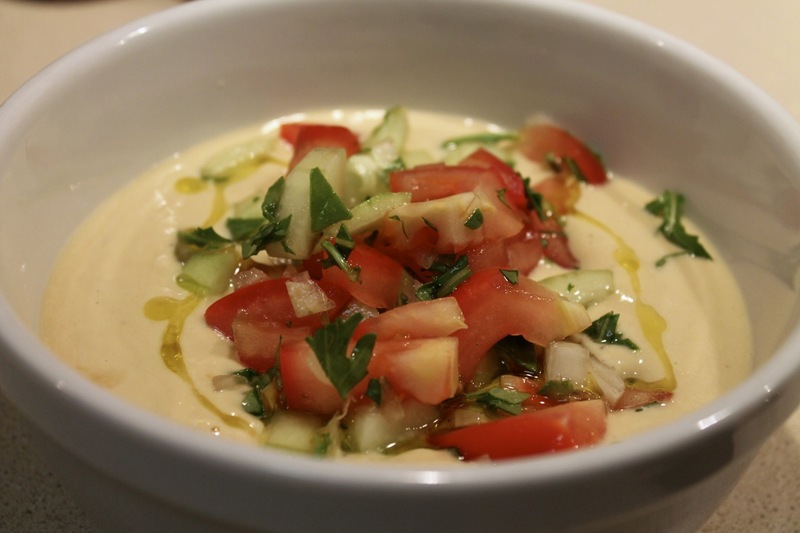 If you like hummus--and who doesn't?--give this a try. 8. Flatbread with Tomatoes, Chickpeas and Yogurt Sauce. This wonderful dish is sort of like an uncooked pizza: flatbread topped with yogurt-cucumbers sauce, smashed chickpeas and seasoned tomatoes. It's also addictively good.